Dr. McEachern received his PhD from the University of British Columbia and carried out postdoctoral studies at Stanford University. 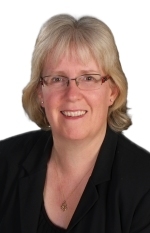 Dr. McEachern has over eighteen years experience in scientific and leadership roles in the pharmaceutical industry. He served in various capacities at AnorMED Inc. including leading a team in preclinical development of CXCR4 and CCR5 chemokine receptor antagonists as HIV entry inhibitors; these efforts culminated in Phase II clinical evaluation of the lead candidate AMD070. Dr. McEachern is a co-founder of Alectos Therapeutics and directed the scientific and business development activities that led to the $289M license and research collaboration agreement between Alectos and Merck & Co., Inc. He is President and Chief Executive Officer of Alectos Therapeutics and has served as a member of the Board of Directors since founding the company. Dr. McEachern is co-author on over 60 publications and patents. Dr. David Vocadlo completed his PhD at the University of British Columbia in enzymology and carbohydrate synthesis. 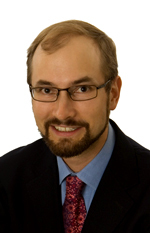 Following postdoctoral studies in chemical biology at the University of California at Berkeley, Dr. Vocadlo joined the Department of Chemistry at Simon Fraser University (SFU). Dr. Vocadlo is a Tier I Canada Research Chair in Chemical Biology and a Fellow of the College of New Scholars and Scientists of the Royal Society of Canada. He is a professor in the Departments of Chemistry and Molecular Biology and Biochemistry at SFU. Dr. Vocadlo is a leader in understanding the mechanism of action of carbohydrate processing enzymes and using this information to interrogate these enzymes in biological systems. His research focuses on using a combination of chemical and biological approaches to study carbohydrate structures and to decode their roles in health and disease. 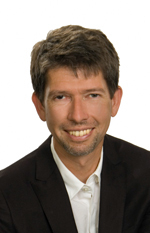 Dr. Vocadlo is a co-founder of Alectos and is the Chief Scientific Officer and Chair of the Scientific Advisory Board. He has served on the Board of Directors since founding the company. Dr. Vocadlo has received several awards and is an author of over 100 scientific articles and patents. Dr. Zhou completed her doctoral studies in the field of organic chemistry at the University of Alberta. She received postdoctoral training at Florida State University with Prof Holton where she contributed to the total synthesis of Taxol. Dr. Zhou brings over eighteen years of diverse experience in small molecule drug discovery having held positions at Neuromed and AnorMED, where she was involved in the discovery of the clinical CXCR4 antagonist AMD070 and led efforts to discover preclinical candidates for treatment of neuropathic pain, epilepsy, and HIV. 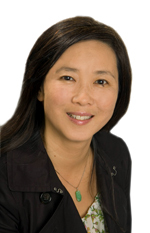 Dr. Zhou joined Alectos Therapeutics in 2009 as the Director of Medicinal Chemistry, with responsibilities including oversight of the collaboration with Merck & Co., Inc. She is co-author on over 48 publications and patents. Dr. Mosi received her PhD from the University of British Columbia in enzymology and protein biochemistry. With fifteen years of experience in pharmaceutical drug discovery and management, Dr. Mosi has expertise in disease target discovery, validation, high throughput screening, and ADME. As Project Manager at AnorMED, she led interdisciplinary teams in the clinical development of its HIV entry inhibitor candidates. Dr. Mosi joined Alectos Therapeutics in 2010 as a Project Manager where she is responsible for directing the biological research and coordinating external studies. She is co-author on over 20 publications.